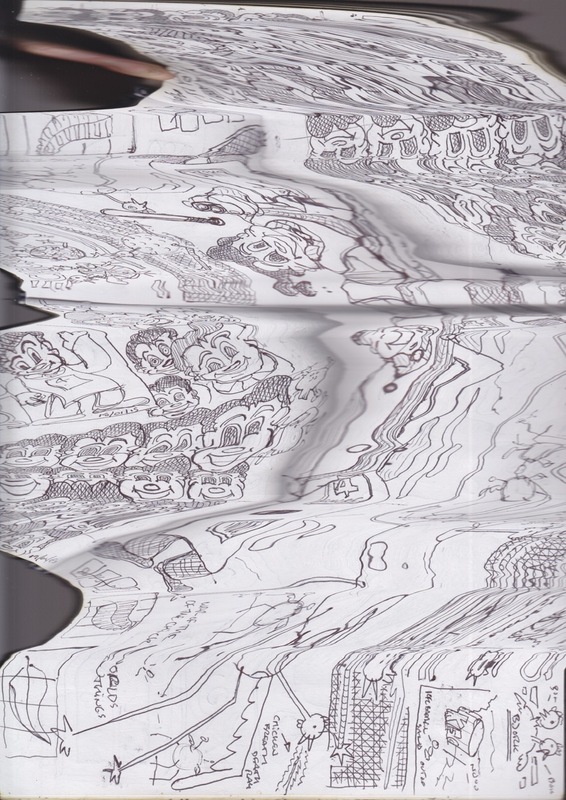 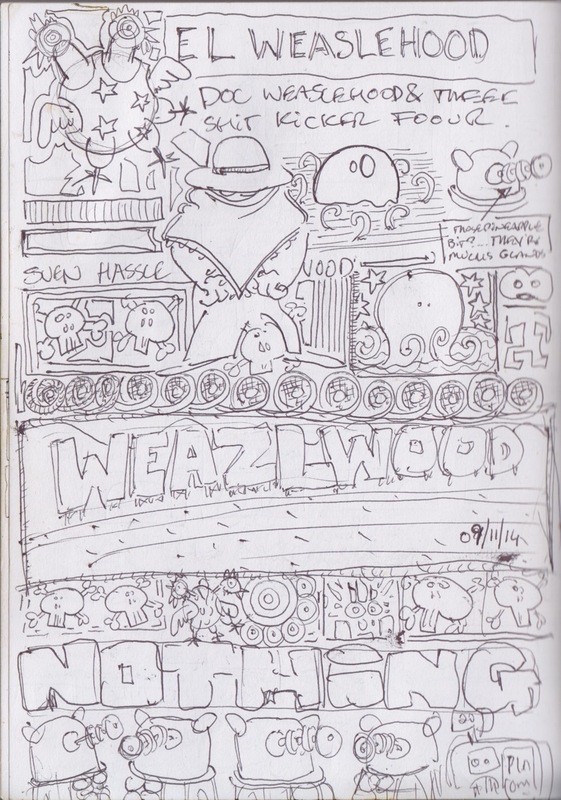 sketch book | Bored with a record shop. 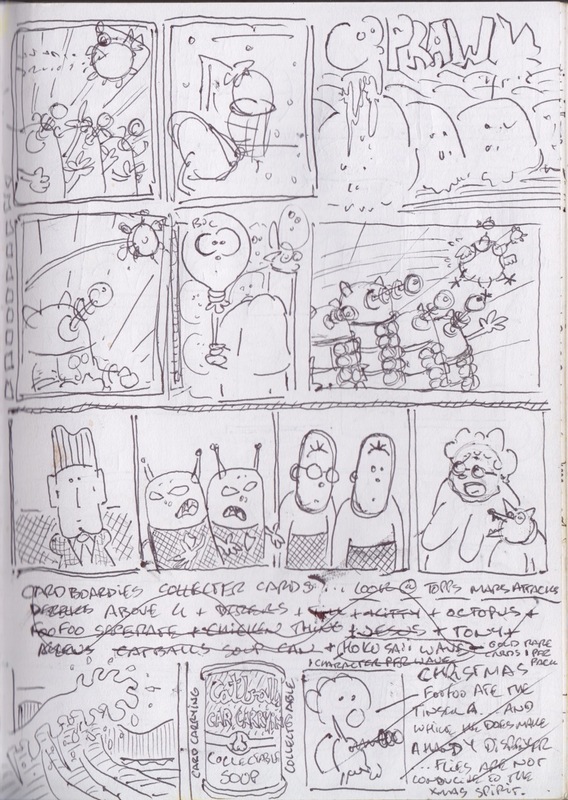 …hoping to catch up once the Xmas madness subsides. 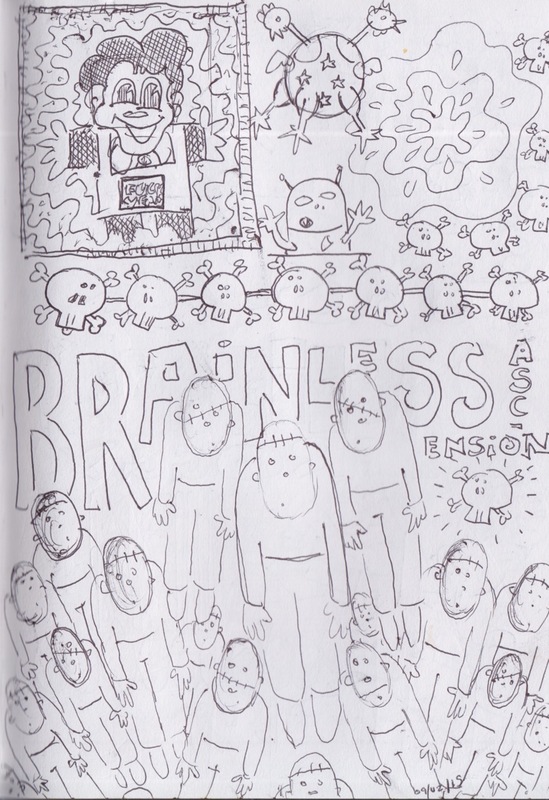 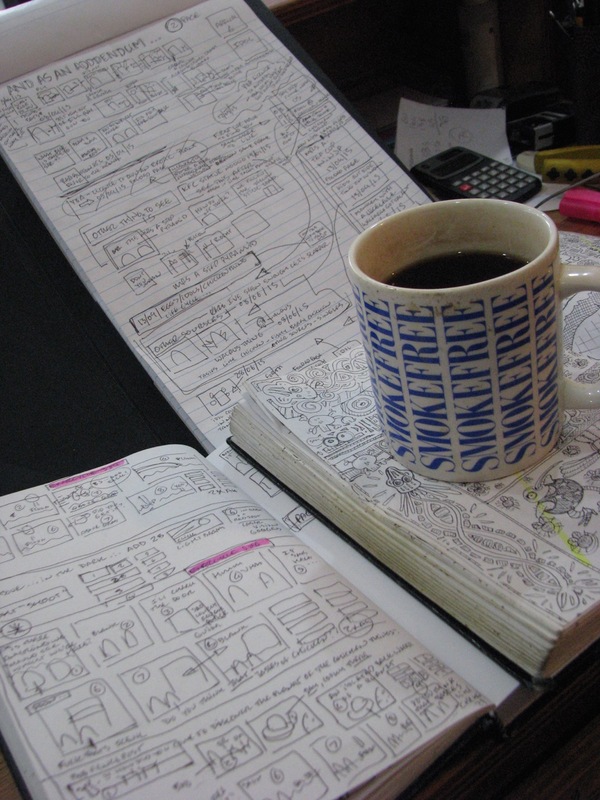 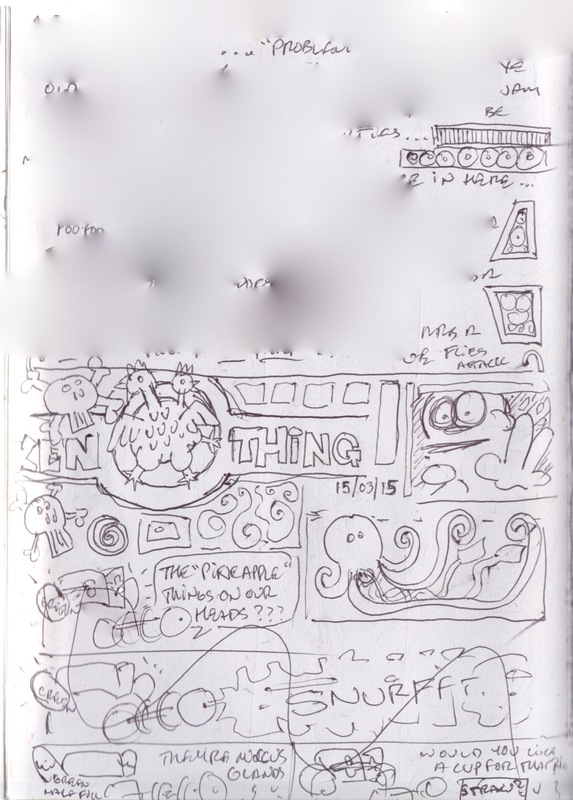 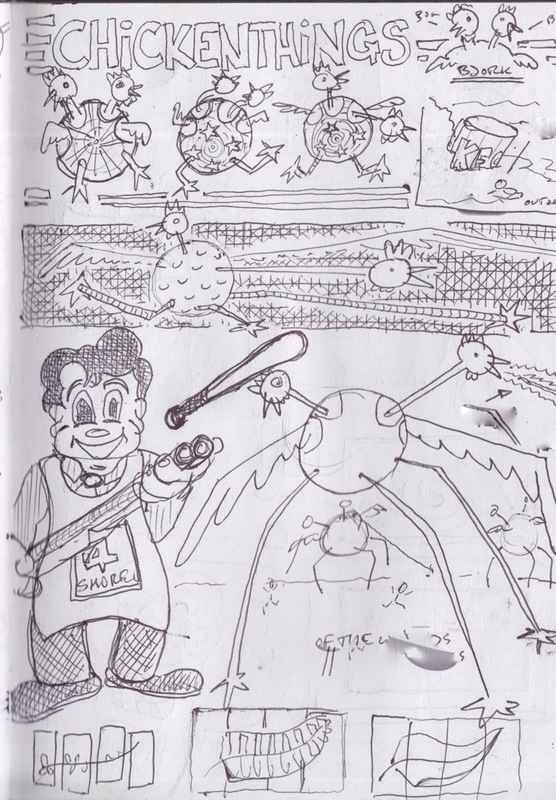 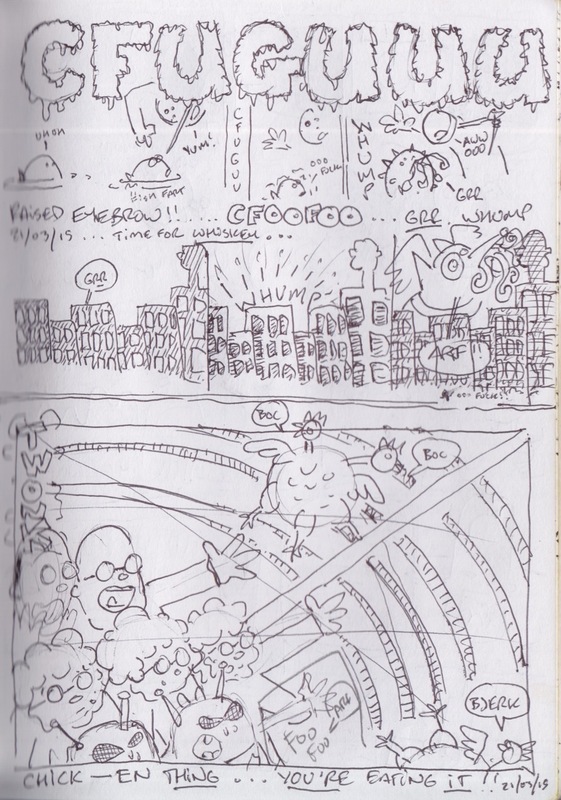 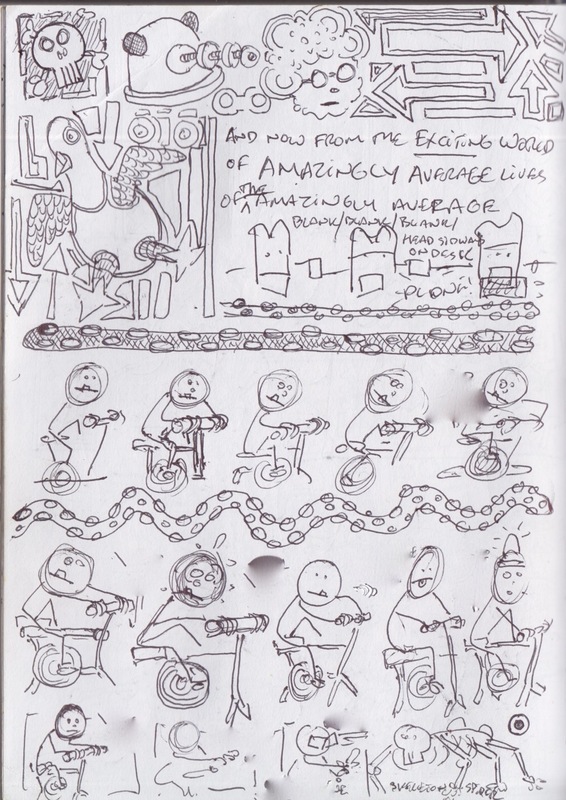 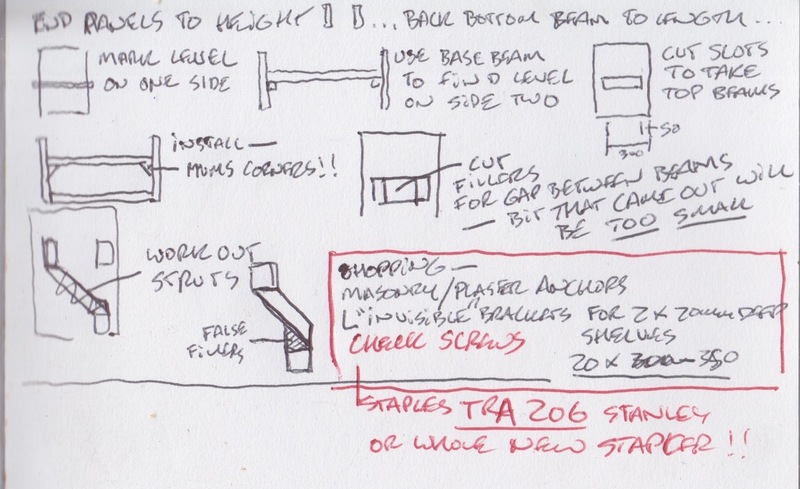 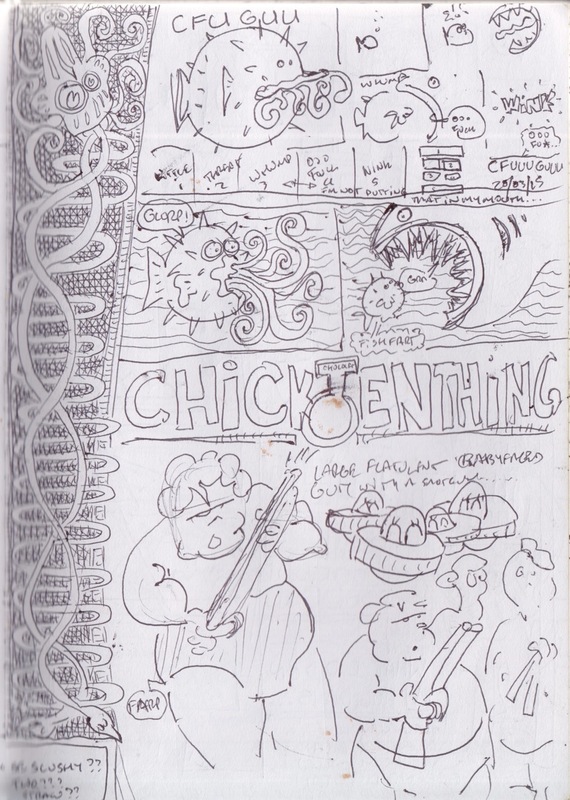 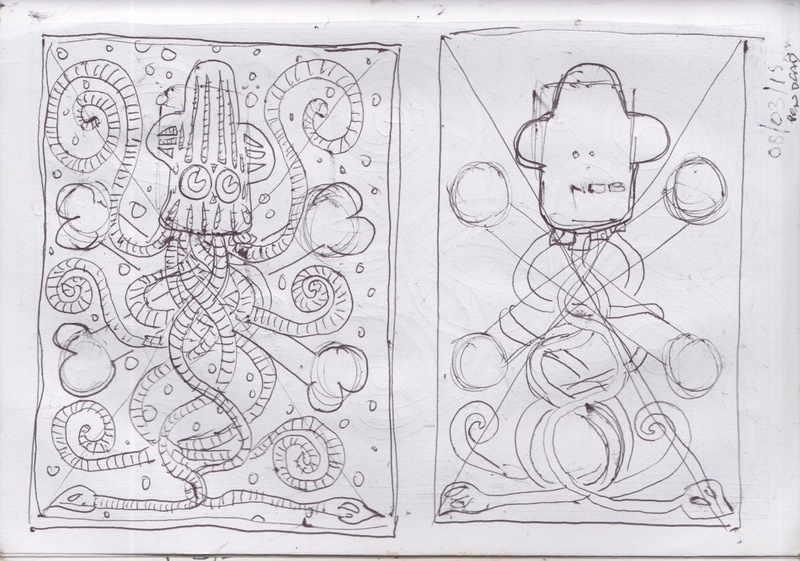 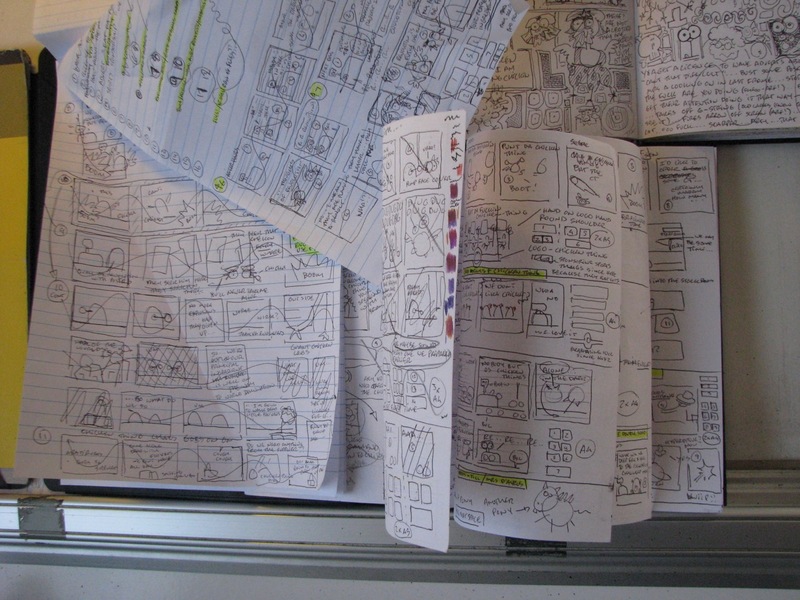 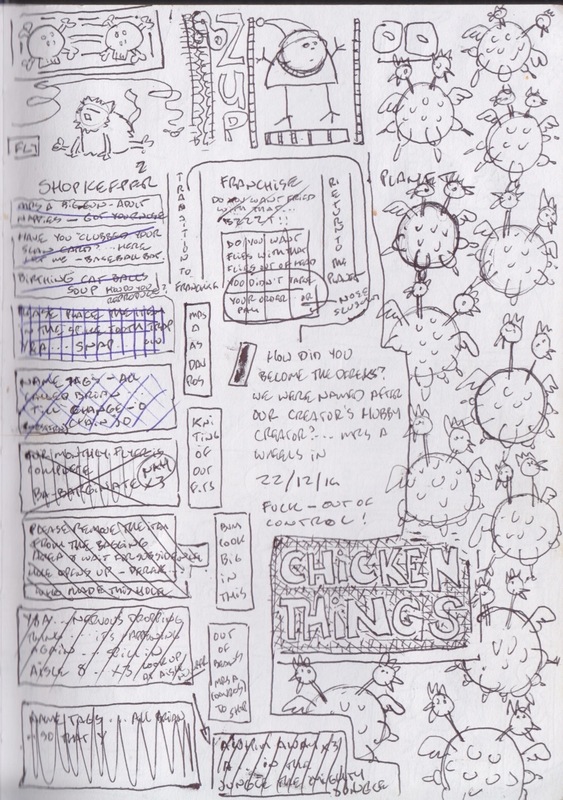 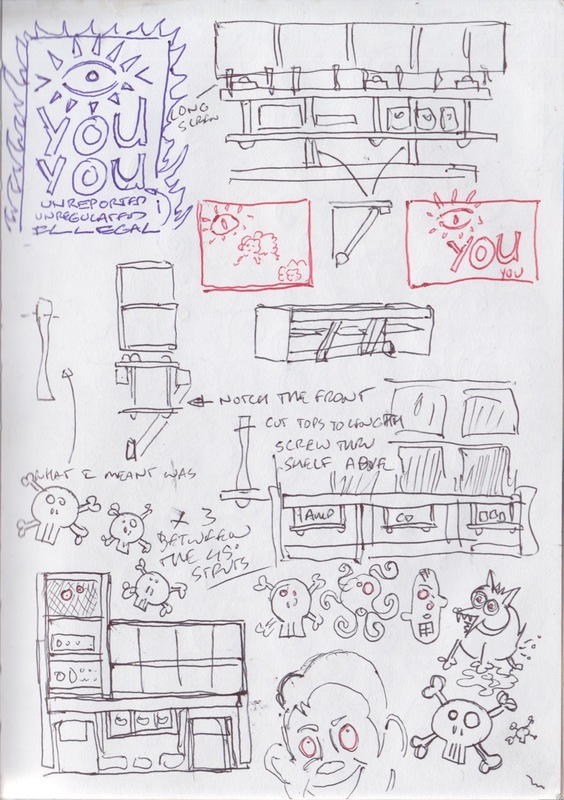 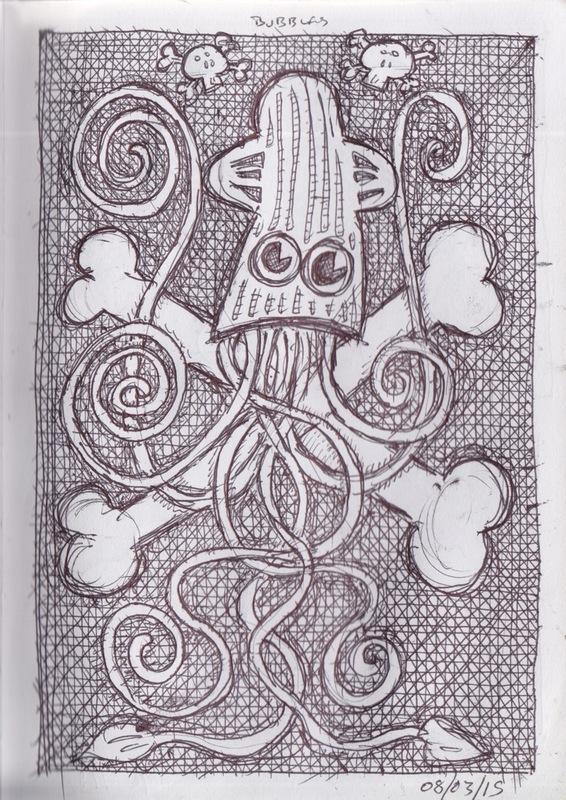 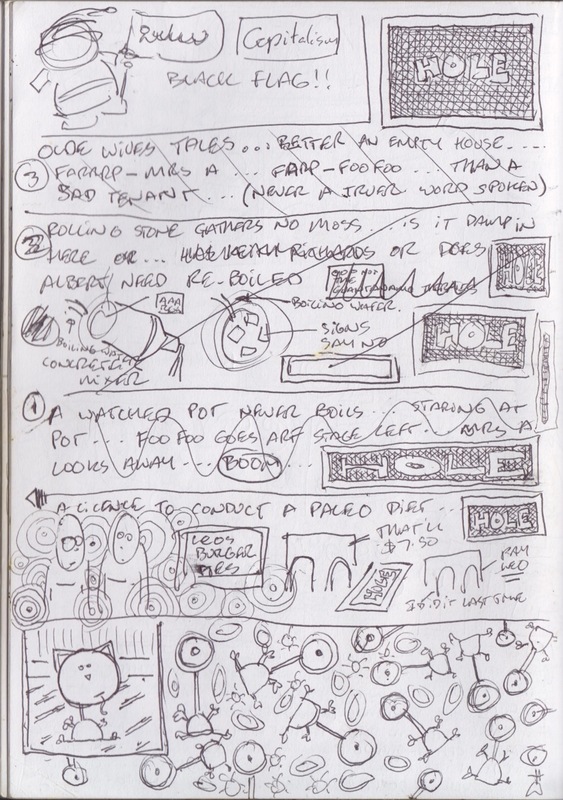 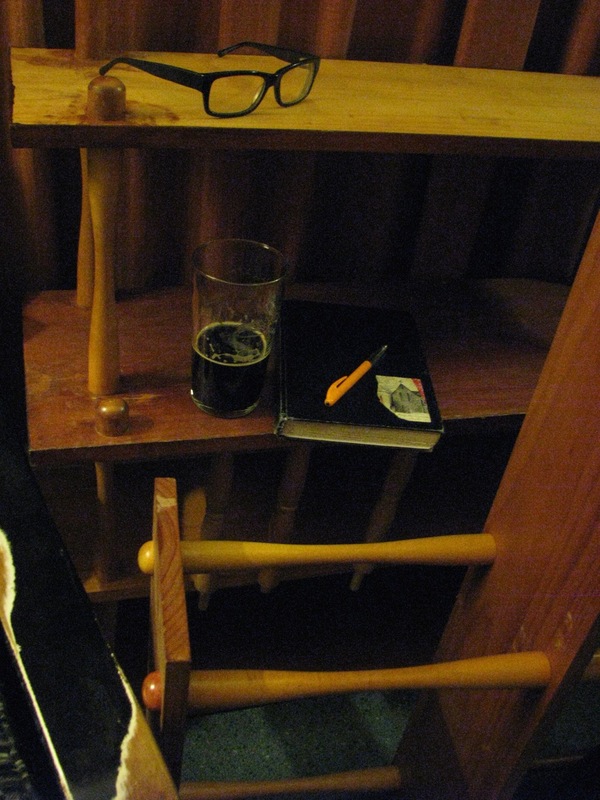 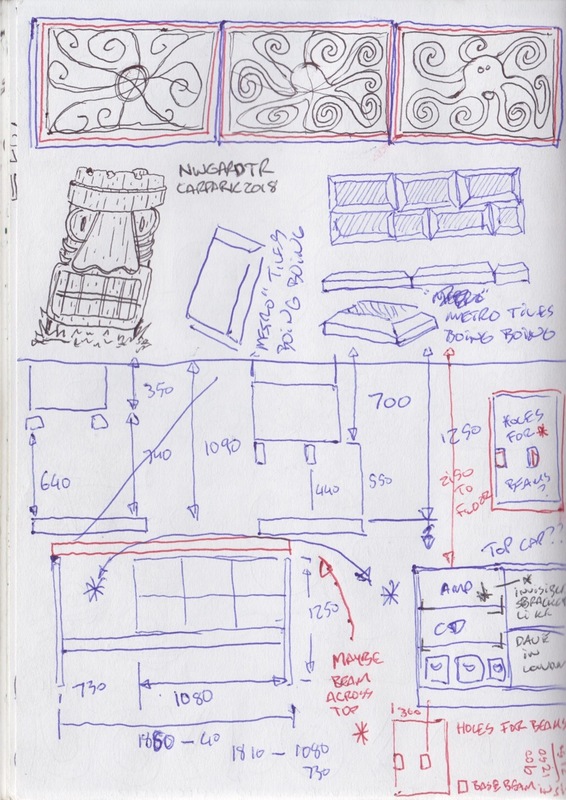 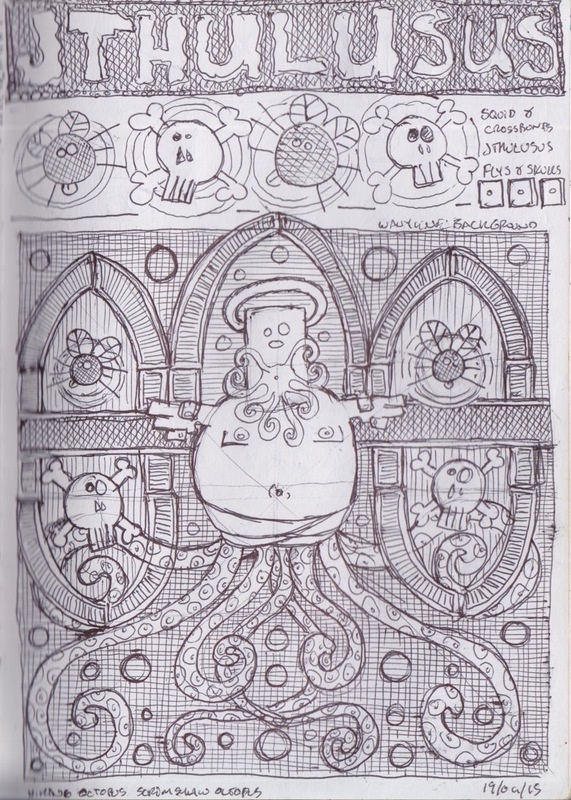 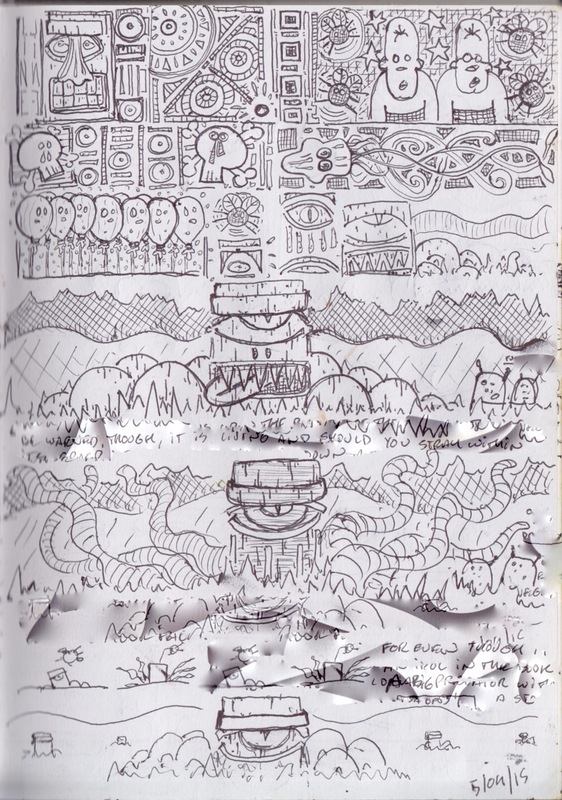 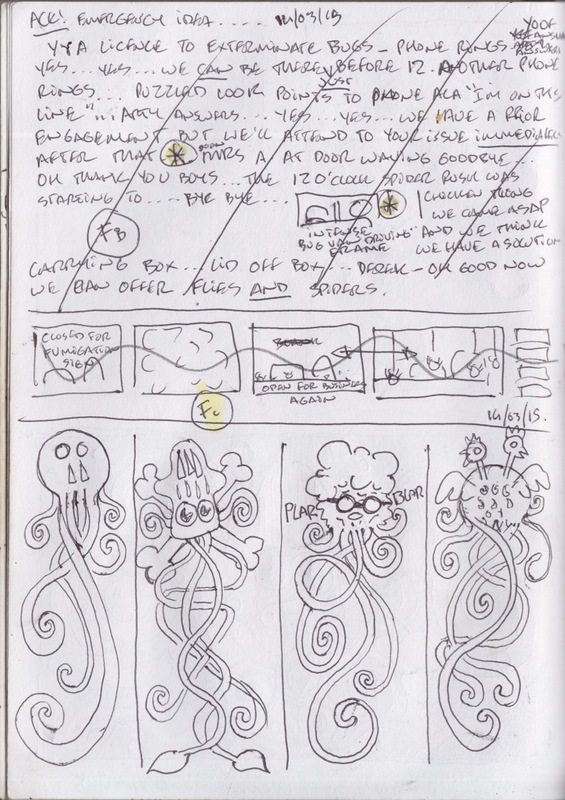 ….just caught up on stuff to draw from my plotting book…. 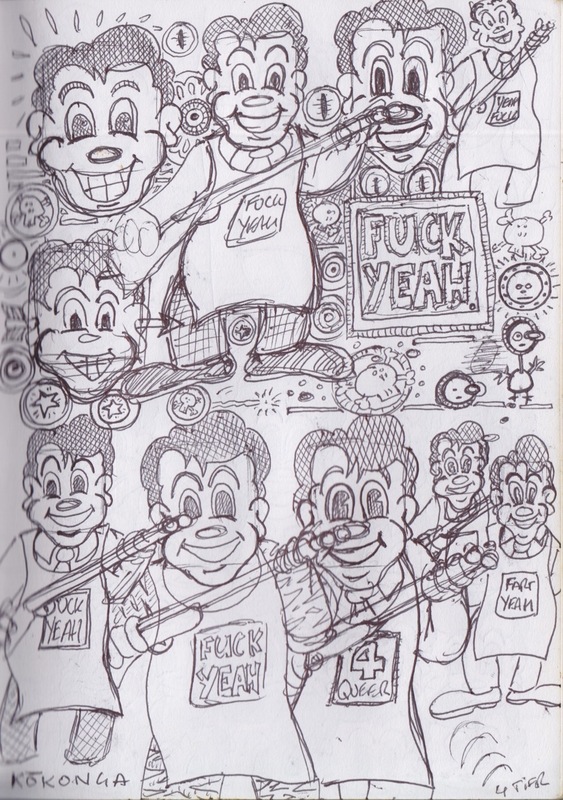 …did you not get the memo? 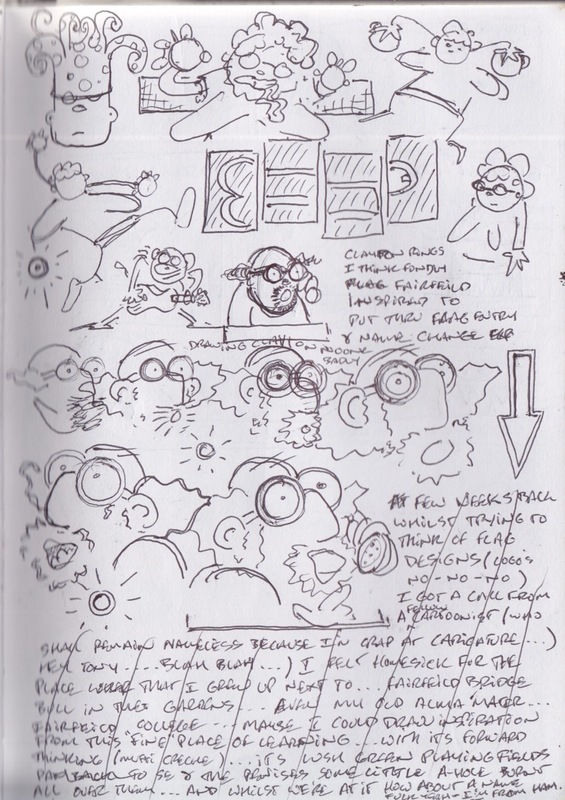 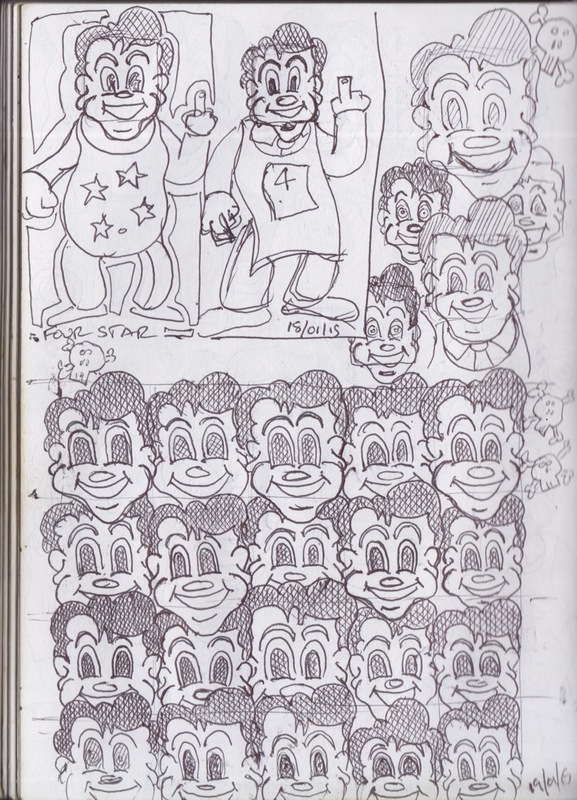 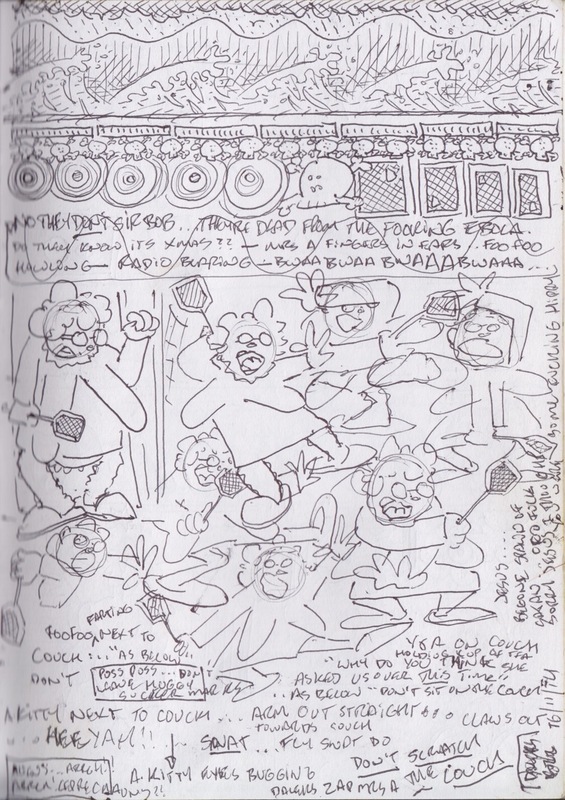 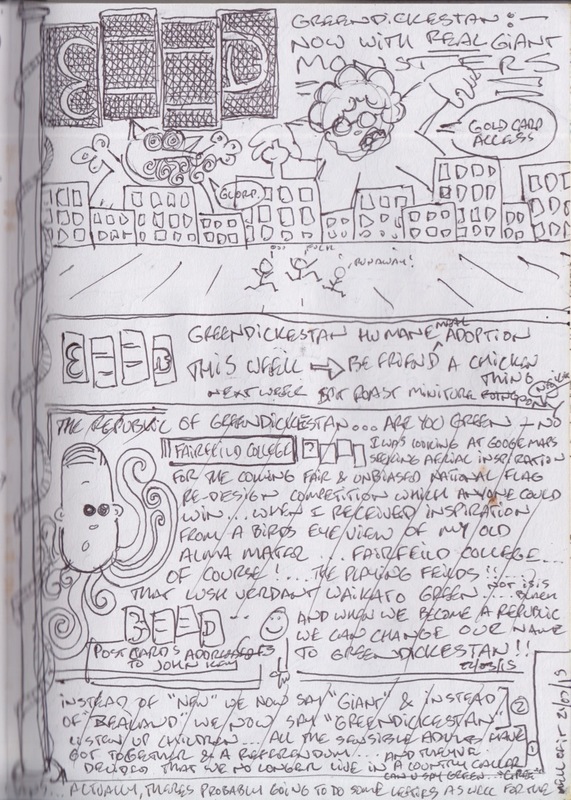 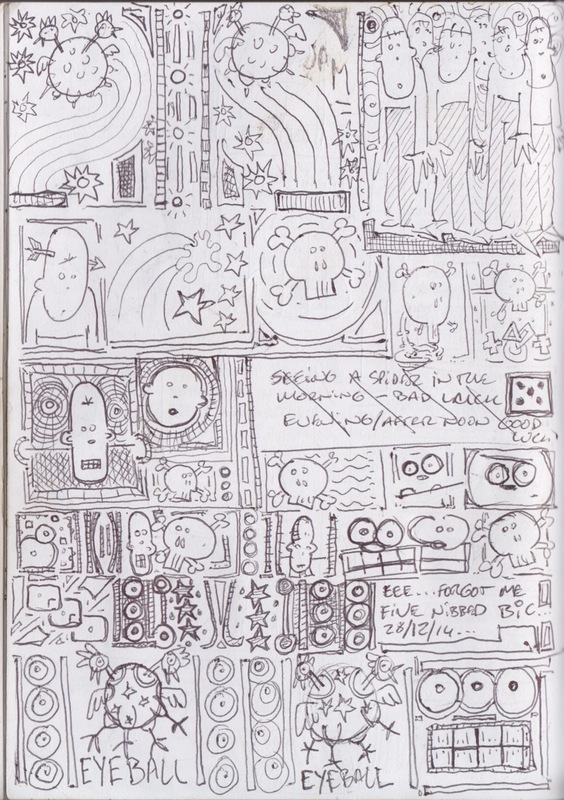 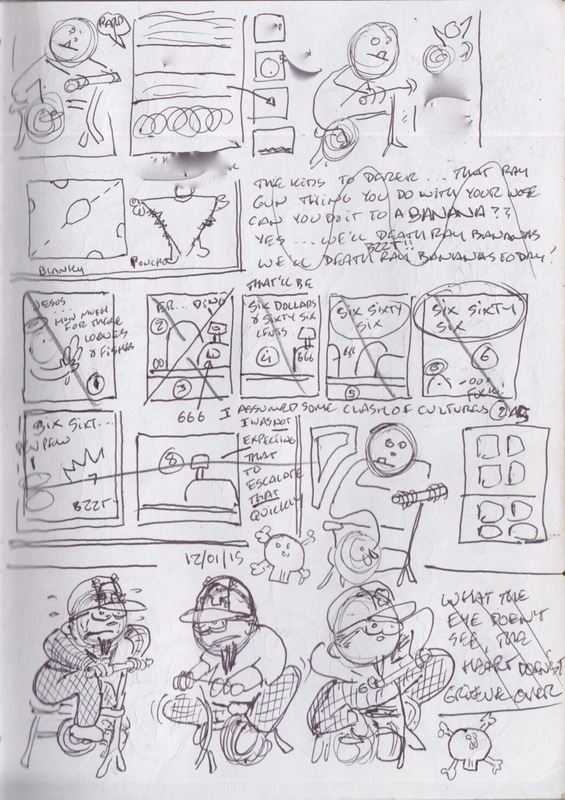 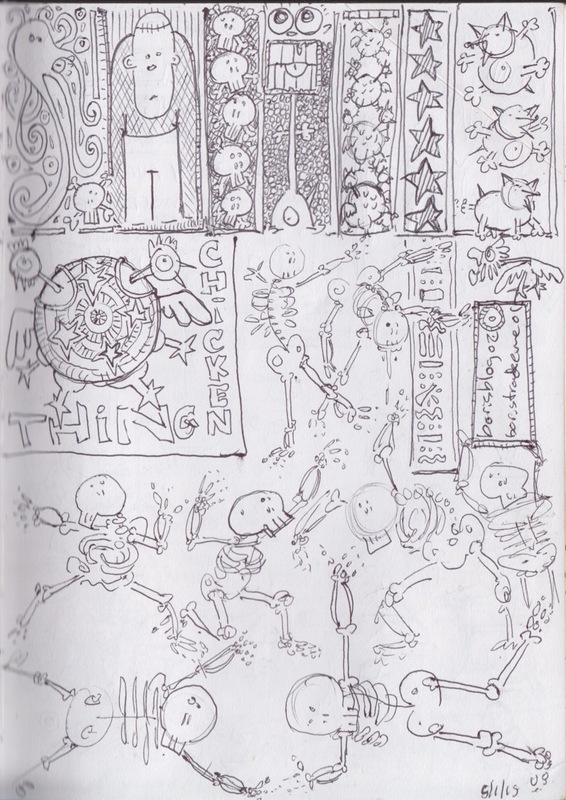 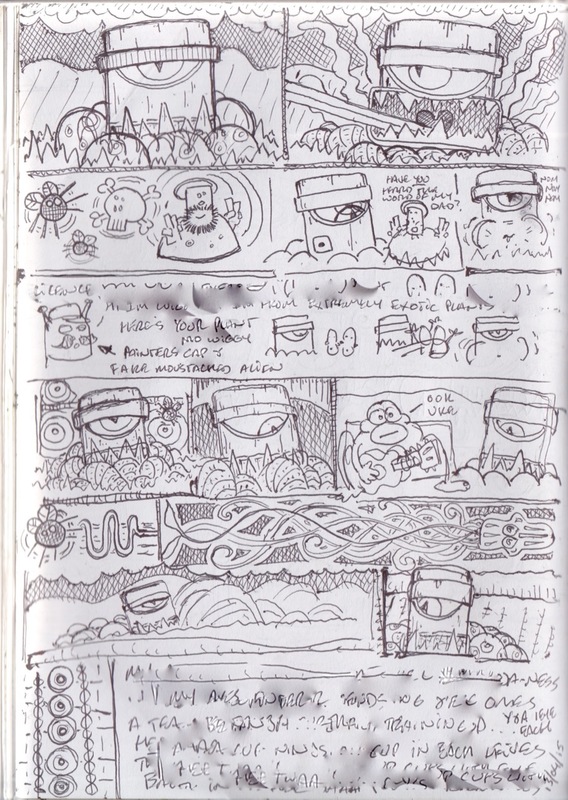 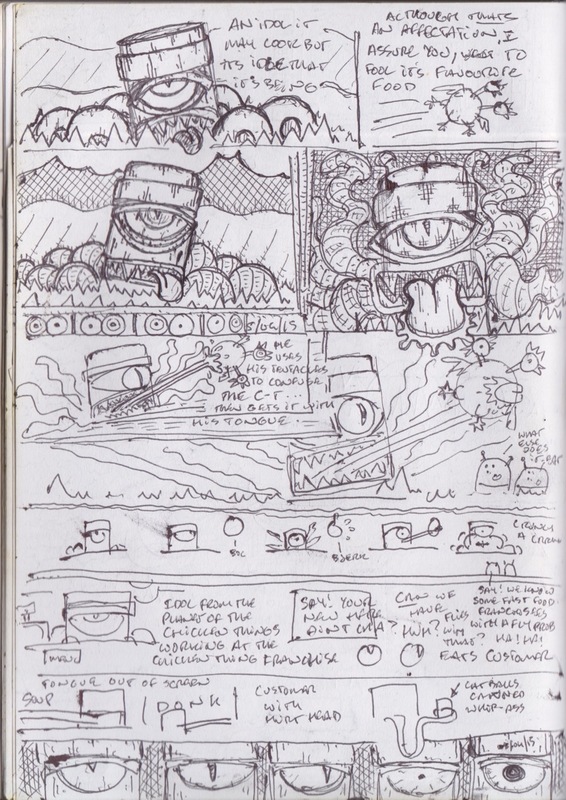 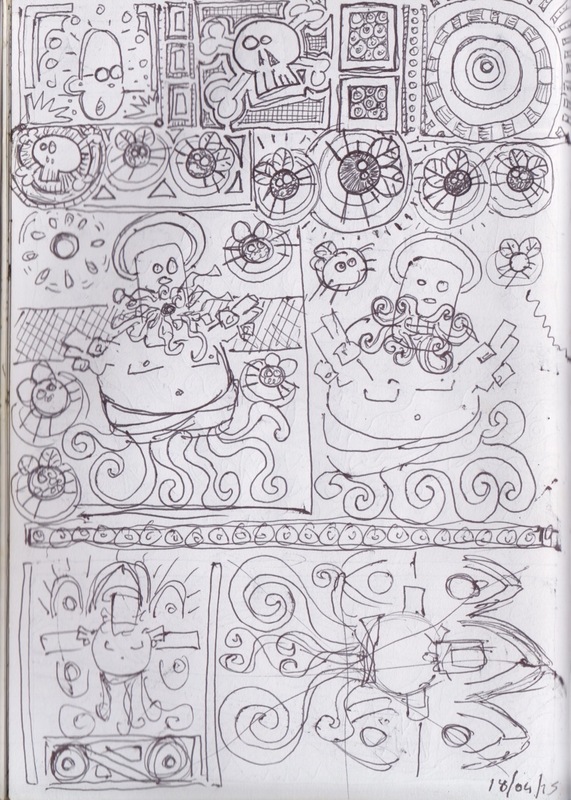 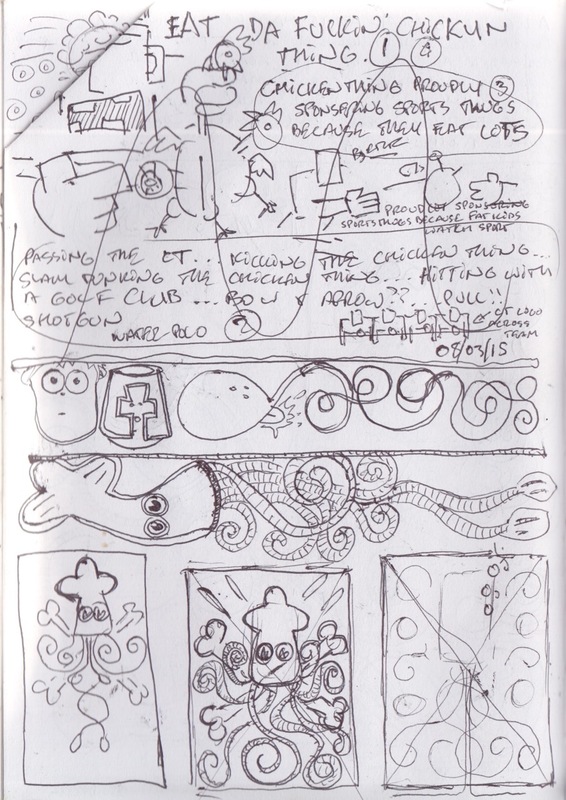 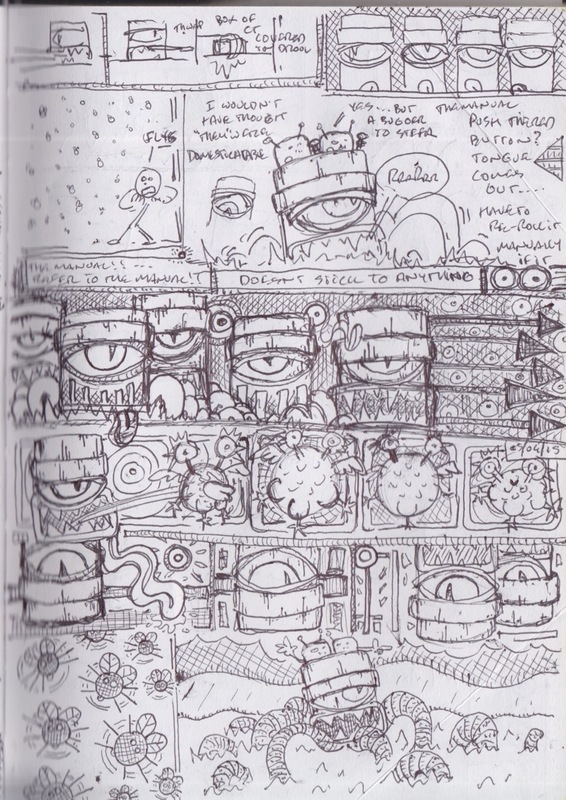 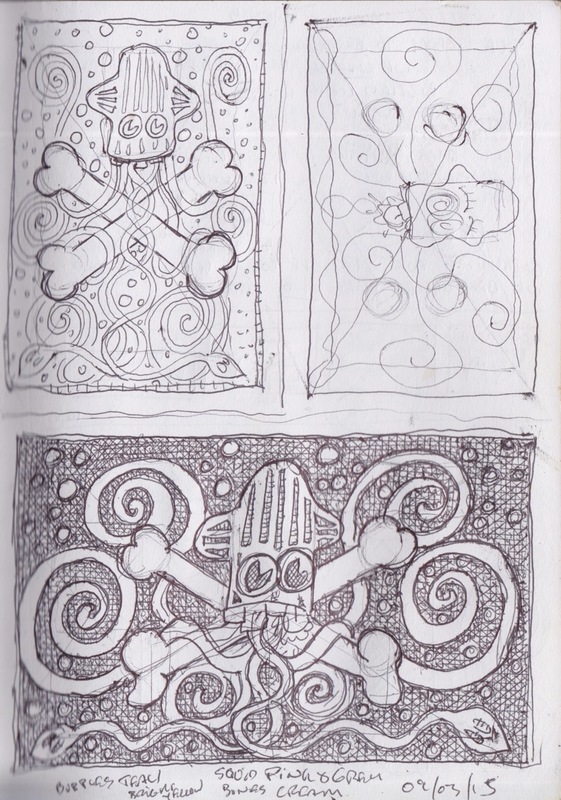 …if I’d called the sketchbook dump I posted early this week “A Fistful Of Pages”…. 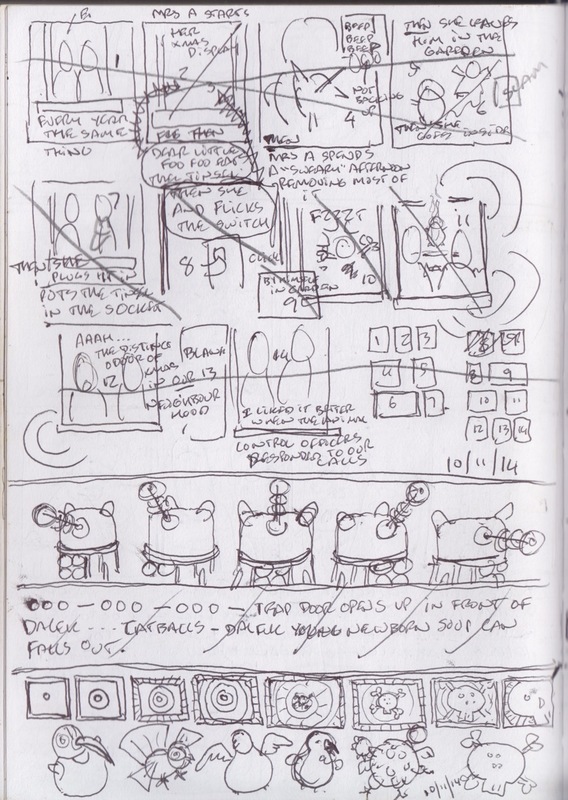 …then this one could have been titled “For A Few Pages More”…. 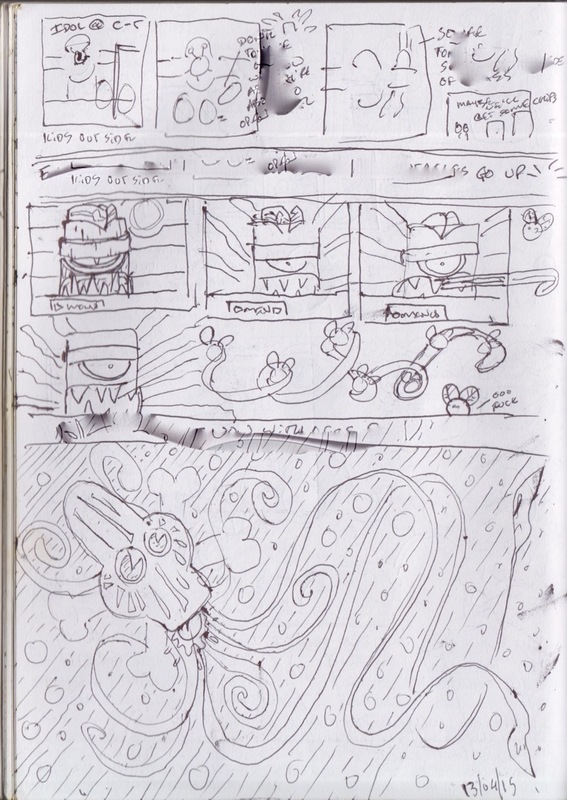 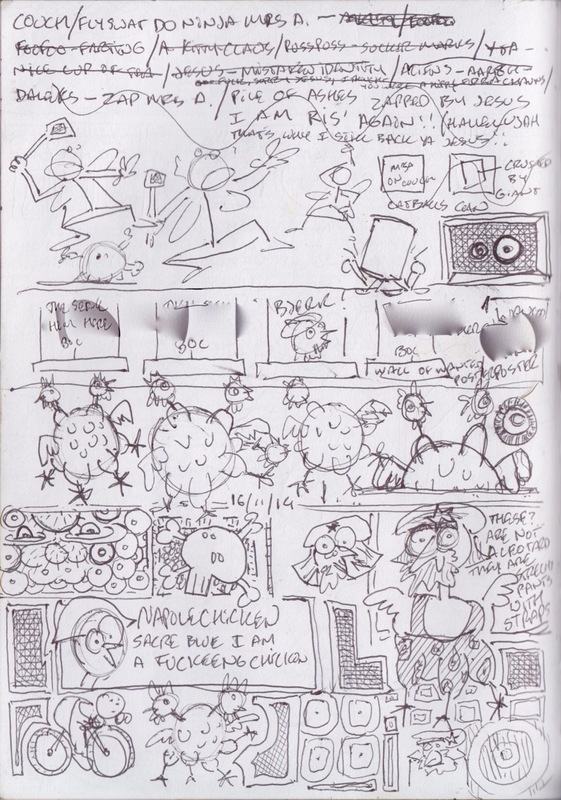 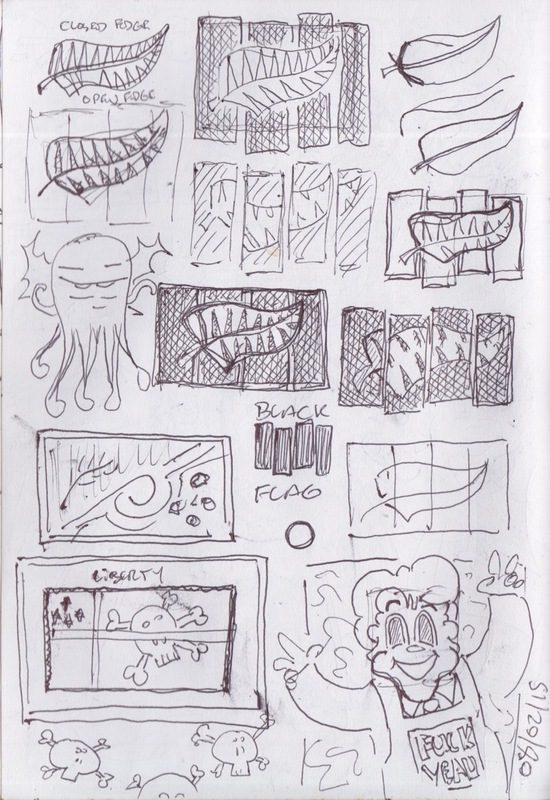 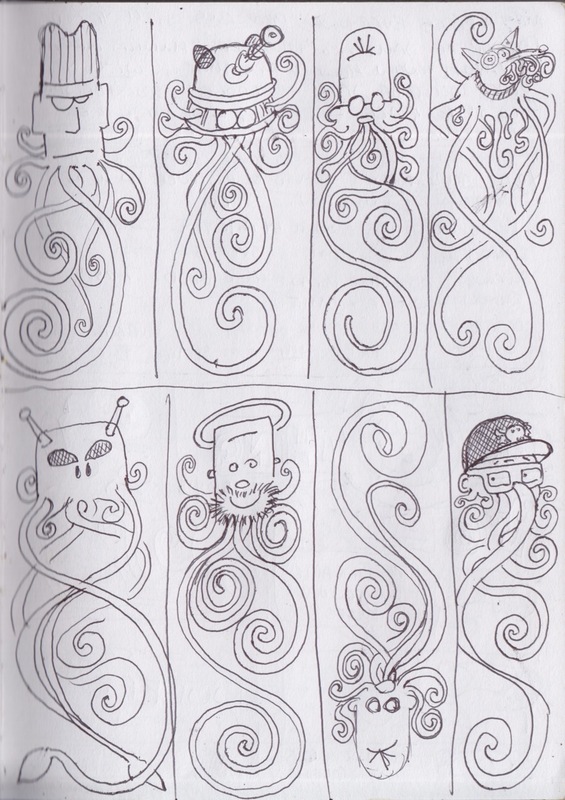 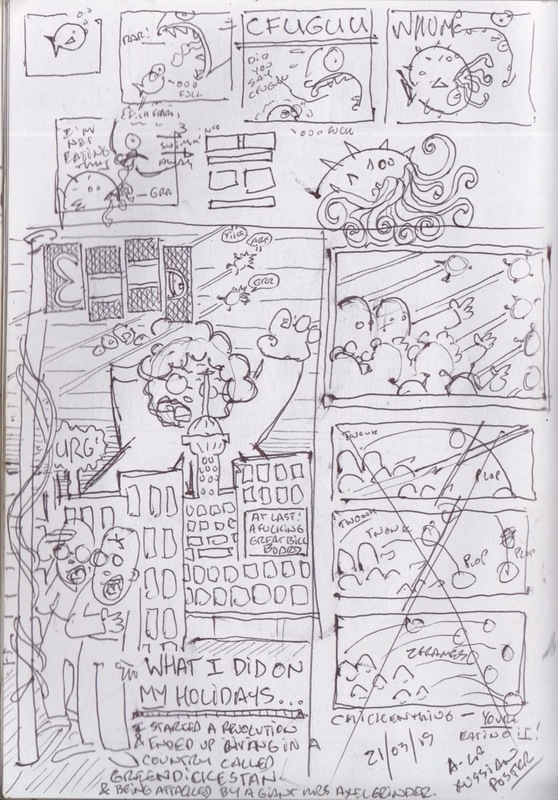 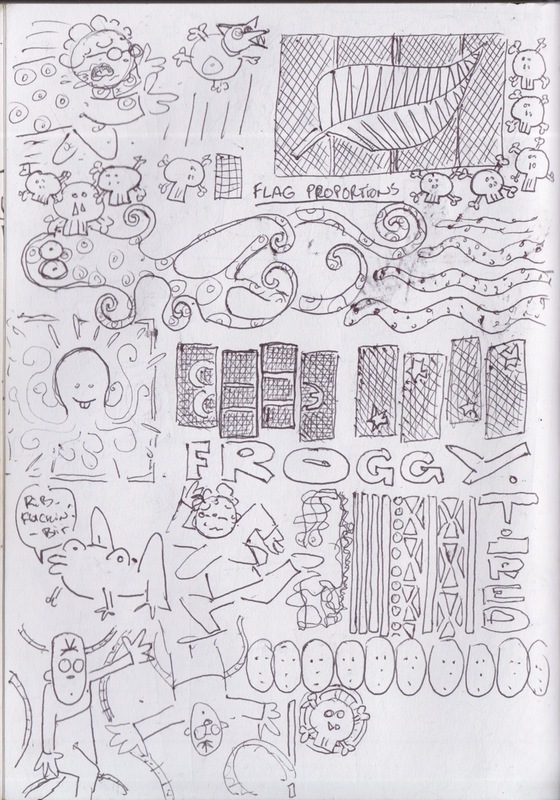 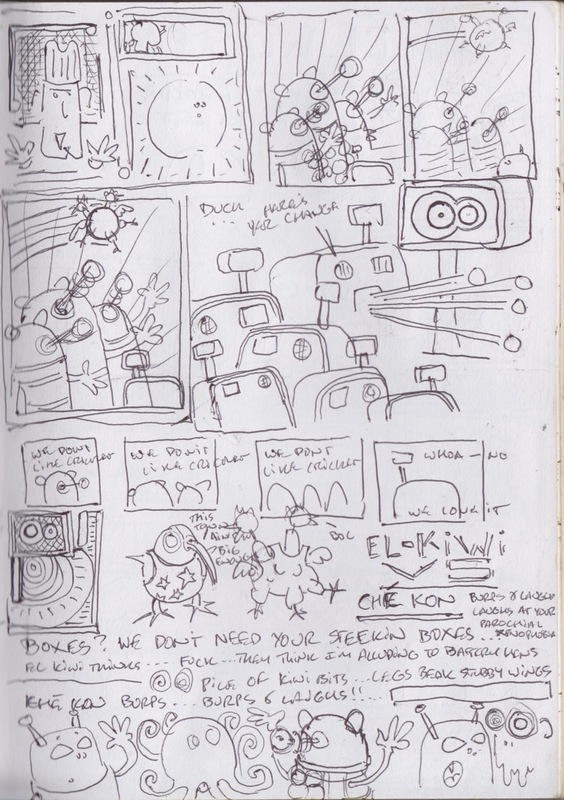 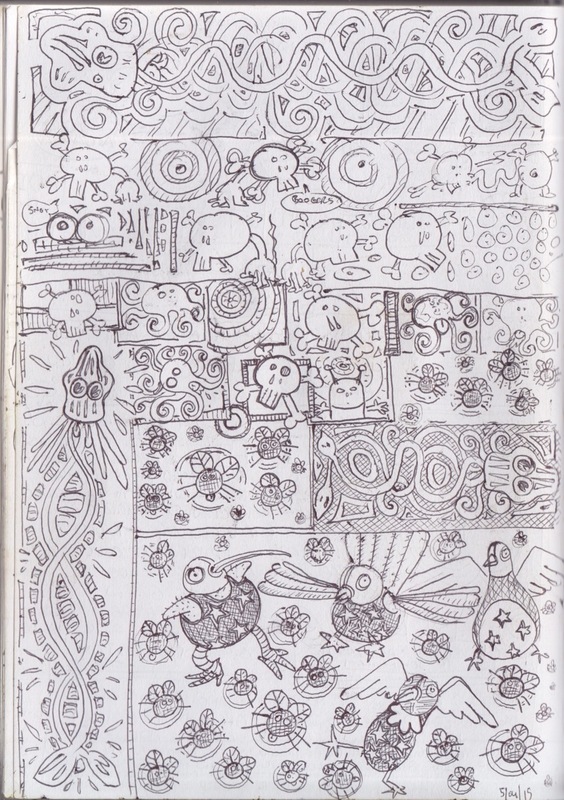 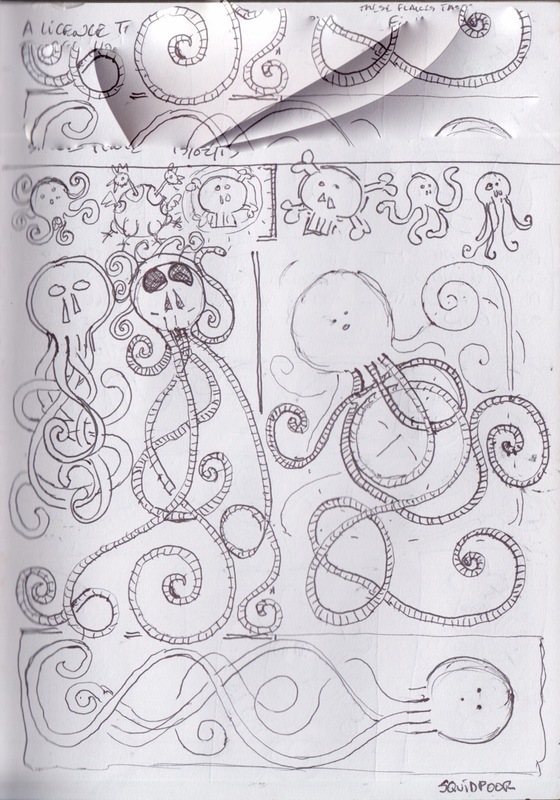 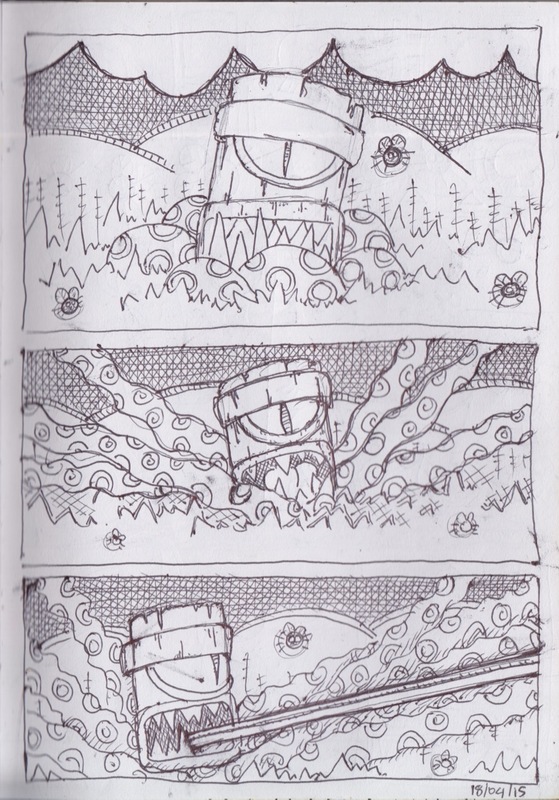 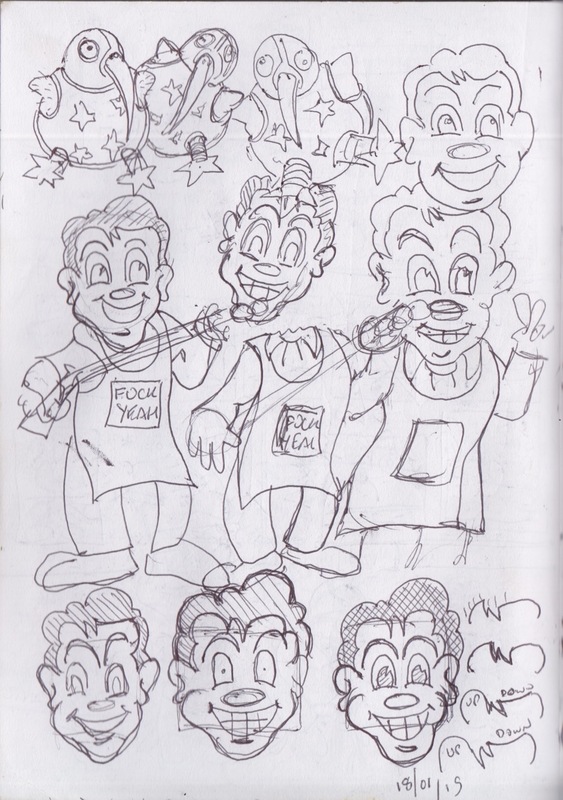 ..or, alternatively, a sketch book dump of the pages I’ve been posting on tumblr…. 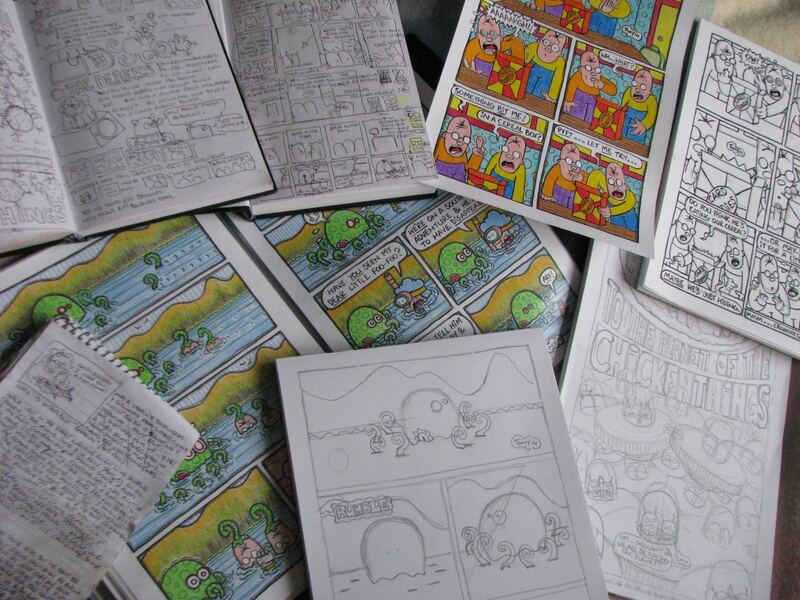 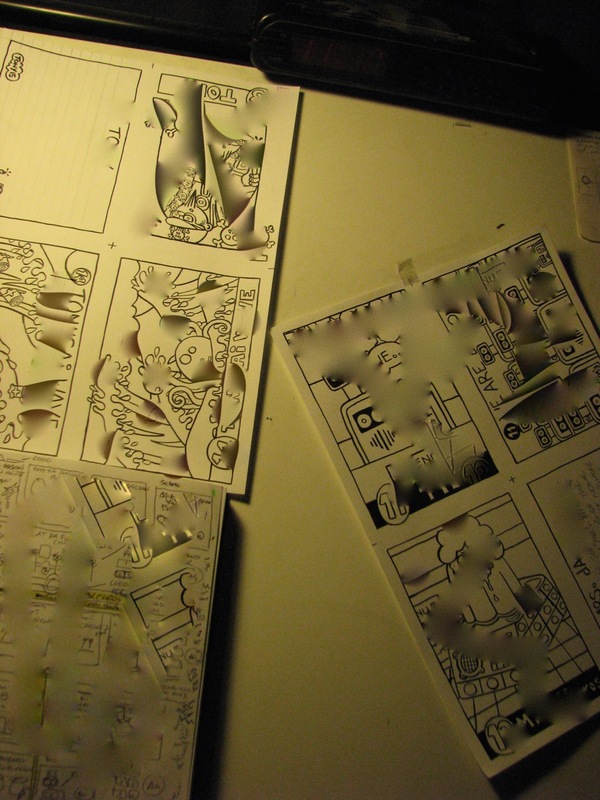 …(10 or so weeks before I have to do that, my least favourite part of the creative process, again…..YAY!)…. 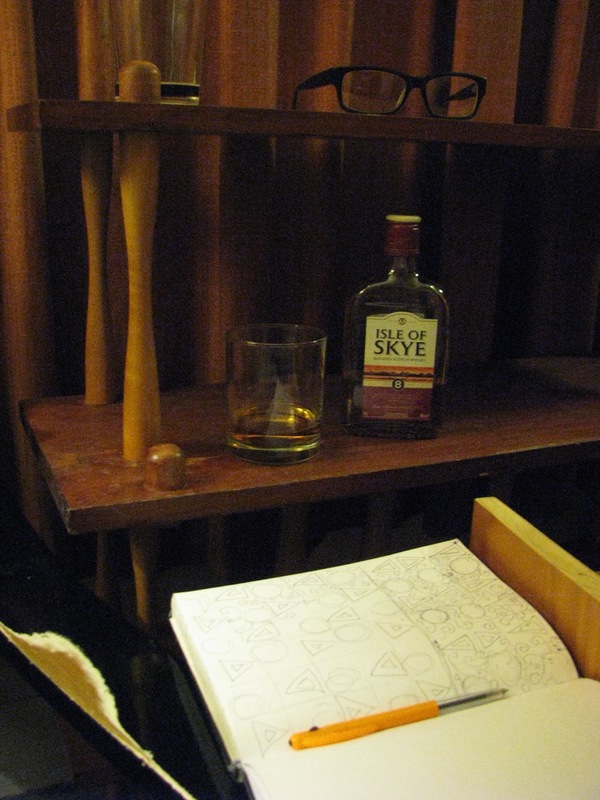 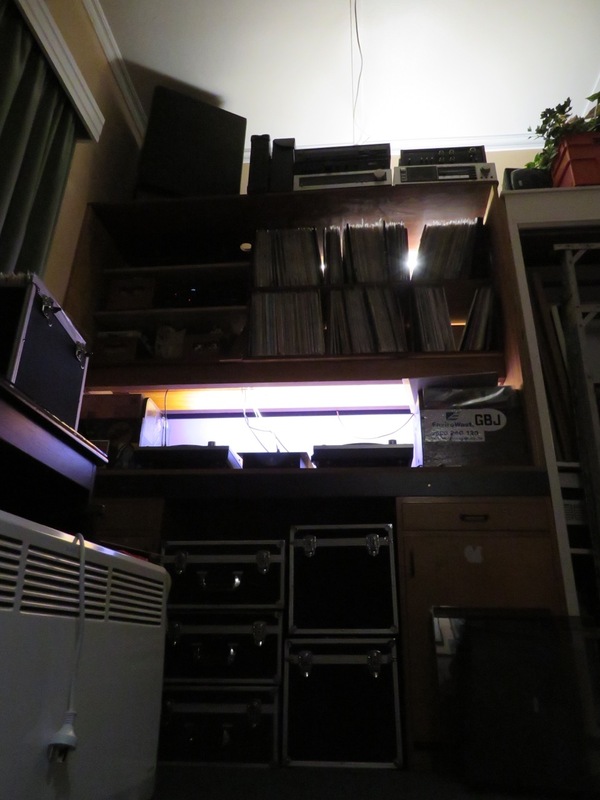 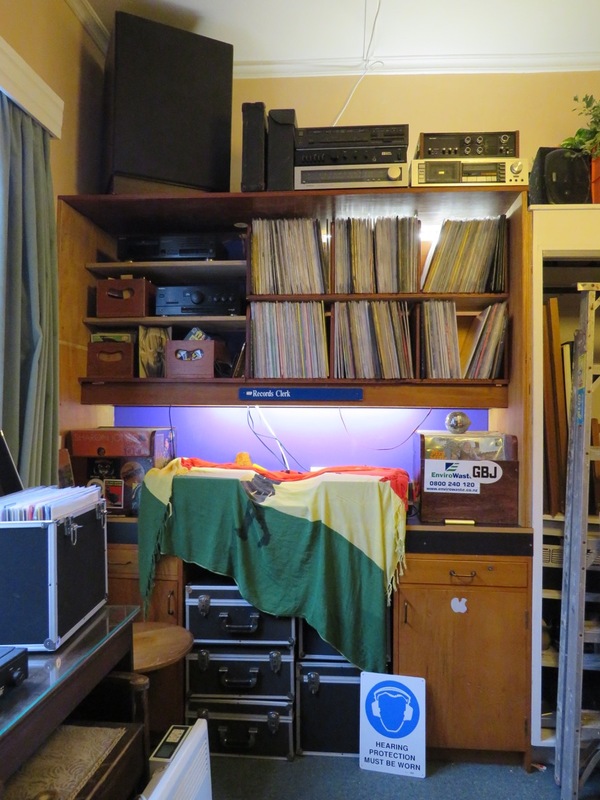 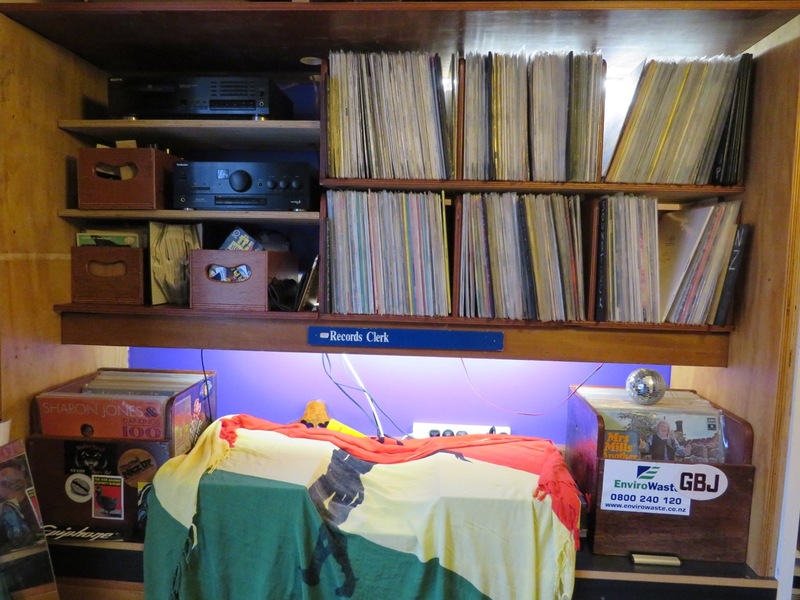 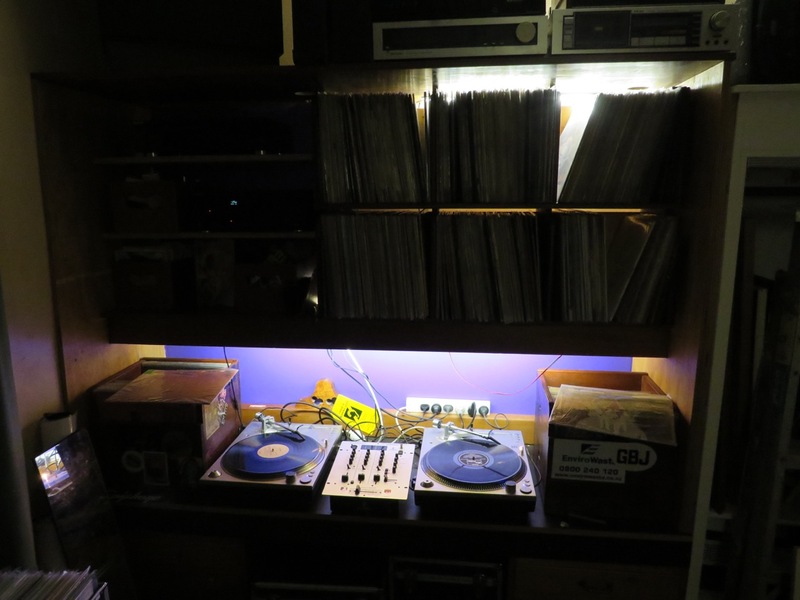 …as was alluded to in the bottom right hand corner of this pic’ from…er ….November last year (I think)….